Phoenicians, Carthaginians, Elymians, Romans and Greeks are among the ancient civilisations that make up the patchwork of Sicily’s story. See how different cultures come together as we take you on a private Palermo tour, starting at The Palatine Chapel, where glittery gold mosaics and Arabic-style wooden carved ceilings adorn the interior. A local expert guide will talk you through the fascinating story of Palermo’s Norman Palace, a 9th century building that today houses the regional government. Next up, the Cathedral – another example of Sicily’s unique Arab-Norman architecture. Further south, Agrigento allures visitors with its ancient Greek temples, set against a backdrop of brilliant blue ocean – a view as dramatic as the island’s history. 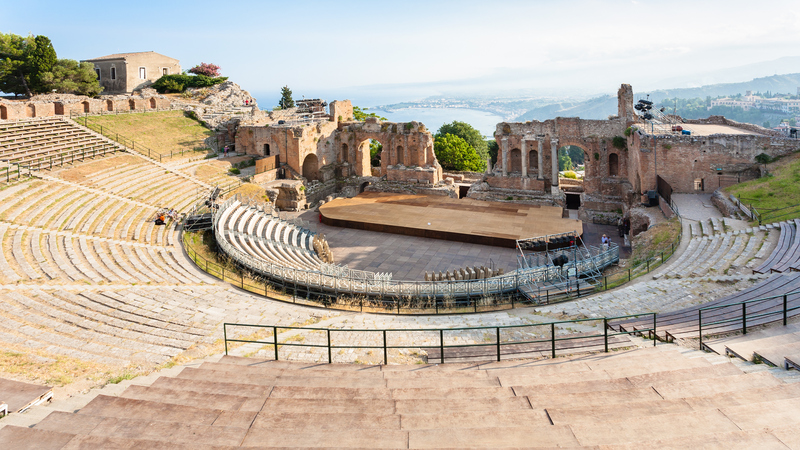 Taormina, too, has ancient Greek genes: built in the 3rd century, its horse-shoe shaped theatre boasts the most picturesque of settings, with views of the sea and Mount Etna puffing away in the distance. Less ancient but no less special are the Baroque beauties of the east: Noto, Modica, and Ragusa, where fresco-ceilinged palazzi, gelato stops and authentic Sicilian meals in stunning surroundings will undoubtedly enchant you. To truly understand Sicily, you must start with its food. Like its architecture, the island’s cuisine derives from an amalgamation of cultures that once called the island their home. Order traditional fish couscous (each grain hand rolled, no less) for a taste of North Africa; try Sicily’s lemon-infused flavors and think of the island’s Arab ancestors, who also planted almond, olive and orange groves around the island – their fruits a major component in Sicily’s cuisine. 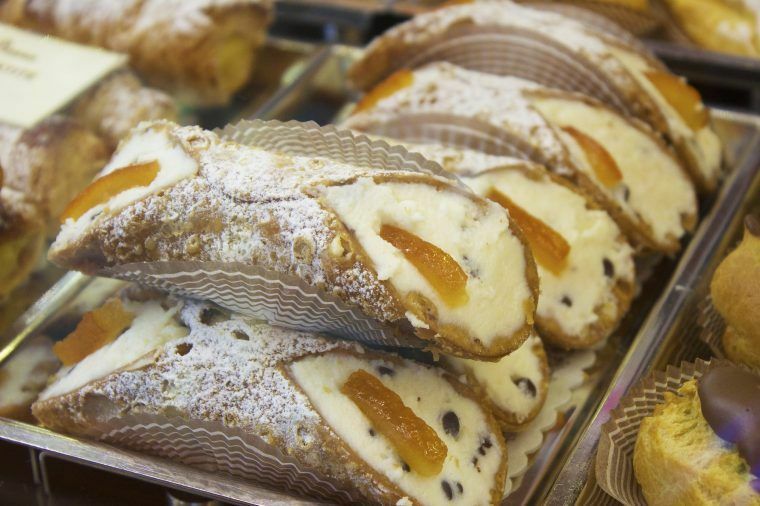 It was the Phonecians who first planted vineyards, and the Greeks also brought wine to the Sicilian table; but it is said that the Romans are to thank for the sweetest gift of all – the famous ricotta-filled, cinnamon-dusted cannoli. Our luxury Sicily tours will give you an authentic taste of the land through exclusive culinary highlights that include a private chocolate tasting in picturesque Modica; a cooking demonstration in chef Fiora Piccione’s very own apartment; a wine tasting tour on Etna’s volcanic vineyards; and a granita tasting with world famous dessert chef in Noto, organized just for your party. Sicily may be an island, but it is home to myriad landscapes and a kaleidoscope of colors: from the aquamarine waters of the Aeolian Islands, to the fiery reds of erupting volcanoes and the arid brown hues of the mountains. We’ll take you to the spectacular Scala dei Turchi, the naturally staircase-shaped cliffs made of brilliant white marl in south-west Sicily. While here, swim in the azure sea below and look up to admire the dazzling white cliffs contrast against the blue sky. Swap the whites and blues for emerald greens as you travel inland to explore the Sicilian countryside. Staying at the 18th century Regaleali Estate, relax and enjoy the most delicious Sicilian meals while taking in views of the rolling hills and vineyards that surround you. 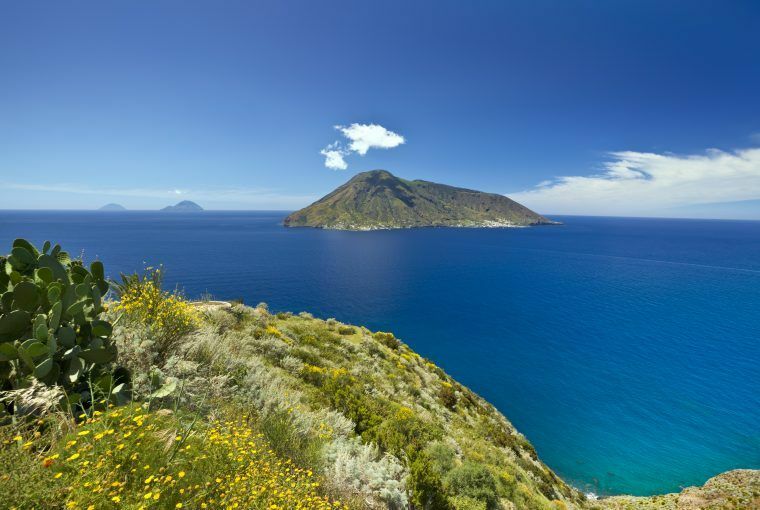 Hike up Mount Etna, then take a private helicopter ride to the Aeolian Islands for more volcano action: see fountains of fire erupt from Stromboli’s volcano and explore Salina’s stunning island landscapes before rewarding yourself with boat excursions and swims in Panarea’s secret coves. For more on our tailor-made luxury Sicily tours, please visit here.